It’s spriiiiing! Sunshine’s back in my life! The real one, I mean, not the deceiving one which gives you the light but not the warmth. Yesterday we had 18� C, today it’s 17� C — both with the beautiful, warm sun all day! All the warmth makes my days much more optimistic, in contrast with the gloomy, depressive winter days. What’s best to celebrate spring than picnic in the park? 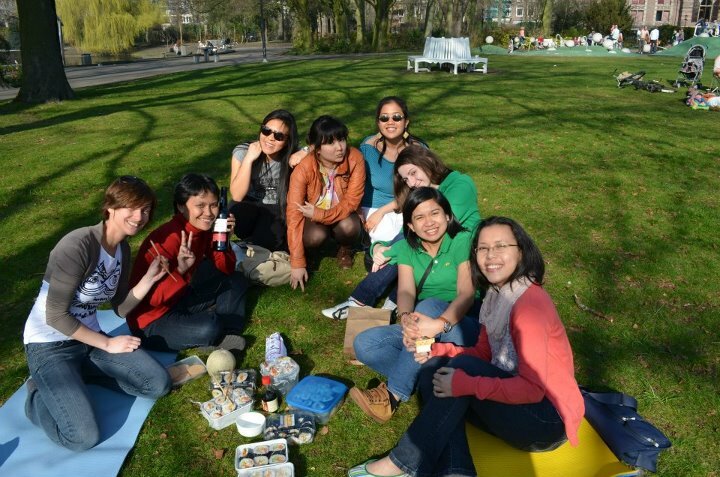 We had a surprise picnic for Lin, who in a few weeks will leave ISS to finish her study in Japan. 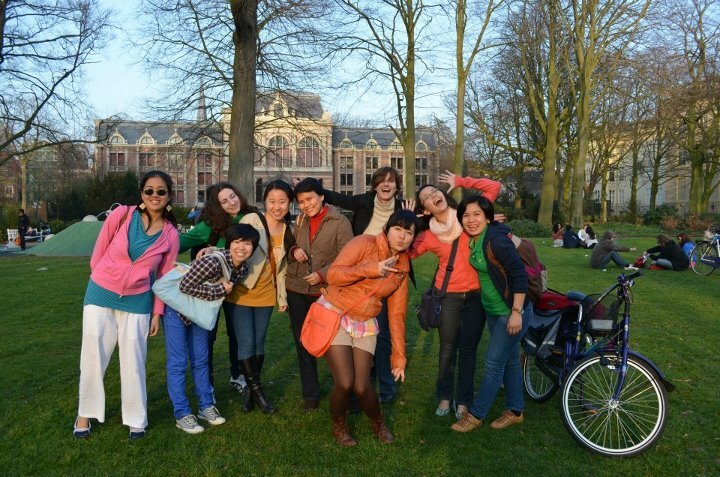 Ah, departure is such a sad thing… but hopefully we’ll all meet again somewhere, someday! 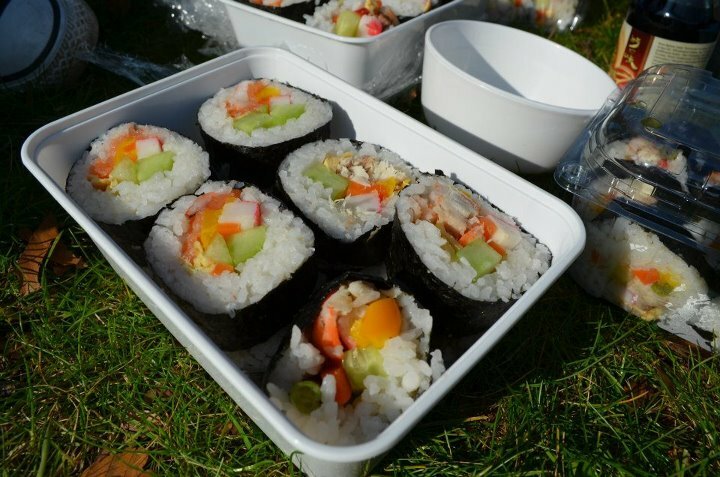 Chef Nam and Lenka made us wonderful, HUGE sushi rolls for the picnic. Atty. Yvonne brought a bottle of sweet Port wine to accompany the splendid rolls. Mynt and Erika were busy taking our pictures (photos here were taken by Mynt). And me… er… I ate. And laugh, and love, and enjoy the day. We met a new friend in the park — a bubbly girl named Iman. 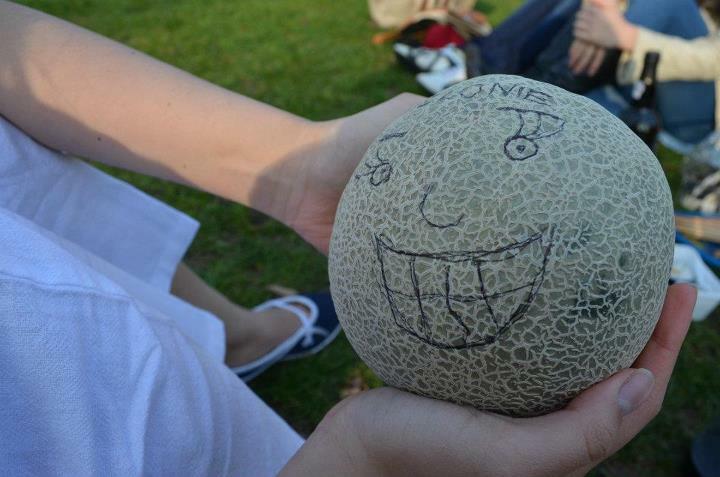 We also developed an emotional attachment to Lenka’s melon. We named her Melonie. And we didn’t have the gut to cut her open. Oh well. Now… let’s go back to the essays. Which I haven’t started at all hahaha.